Here’s how to fix PS4 slow WiFi speed issues and problems that you maybe having in 2017 when using your console at home. Sony is in the luxury position of having one of the world’s most popular video-game platforms in the PlayStation 4. Millions and millions of users turn the system on a daily basis to interact with everything that it offers, but that doesn’t mean that they always get a seamless experience. For those who may have been experiencing WiFi issues with the device then there are a few things that you can do to actually tray and eradicate those problems. As some of you reading this might have noticed, PS4 WiFi chip can cause conflict with many WiFi routers out there, basically throttling the wireless network speeds down by 90% as soon as it’s turned on. The problem goes away as soon as the PS4 is turned back off. 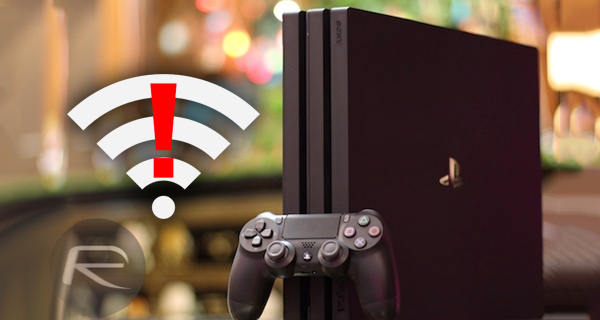 If you are having this issue, here’s what you can do to help fix the WiFi woes that you maybe having with your PS4 and your WiFi network. Move Router Away from PS4: Moving your PS4 away from the router can sometime fix this issue altogether. It is best to have the PS4 in a different room to your WiFi router or opposite ends in the same room where possible. Toggle (and Disable) Remote Play for Vita & TV: When Remote Play for PS Vita is turned on, the PlayStation 4 goes through a process of creating its own mini wireless network to be able to broadcast content to other devices. This can sometimes cause wireless frequencies to conflict with one another and introduce WiFi speed issues. If this type of functionality isn’t needed then make sure it is turned off at all times. 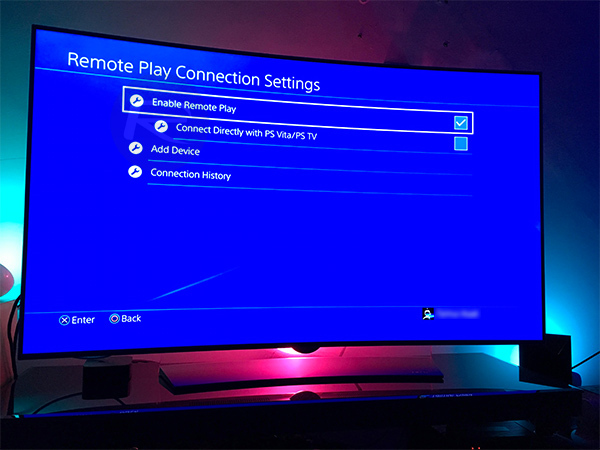 To do this, head over to Settings > Remote Play Connection Settings, and uncheck Connect Directly with PS Vita/PS TV. You can keep Enable Remote Play option enabled if you so wish too. Use 5GHz WiFi Network: Yup, 5GHz networks tend to have less distortion compared to more common 2GHz networks. If your router supports it, make sure you connect your PS4 to 5GHz wireless network whenever possible. Switch to LAN Cable: This might seem like a last resort, and it really is, but if the problem still persists then simply move across to a hard-wired connection to take away all the WiFi problems that may exist. It’s still good practice to go through the process of turning off the PS Vita Remote Play functionality as mentioned above and putting the device in the best possible state to succeed. Or buy a new Xbox one x. Move the router? That does not seem likely. Move the PS4? Another unlikely option. Should be able to return PS4 for a refund. My console is slow at everything, even Netflix is choppy. Overwatch takes five minutes to load. WTF?